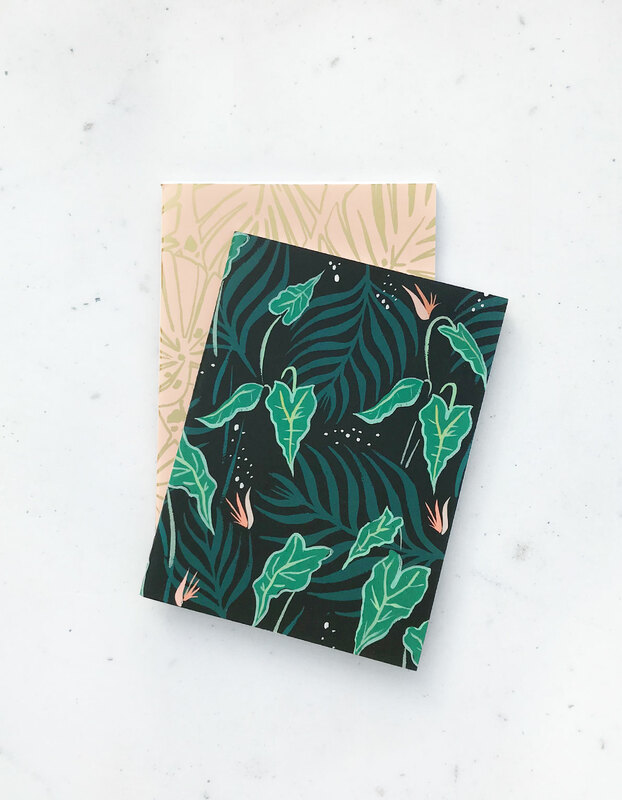 Lush Greens Pocket Books – Idlewild Co.
Our Pocketbooks are the perfect totable pair. Each set features one lined notebook, and one sketchbook; at the ready for all of your on-the-go plans and schemes. The hand-painted designs are printed in vivid color with gold foil accents and sewn bindings. The interiors are printed with gold metallic ink.